Downtown LA is on a roll. So many cool places are opening their doors, so to all you haters out there: eat this! 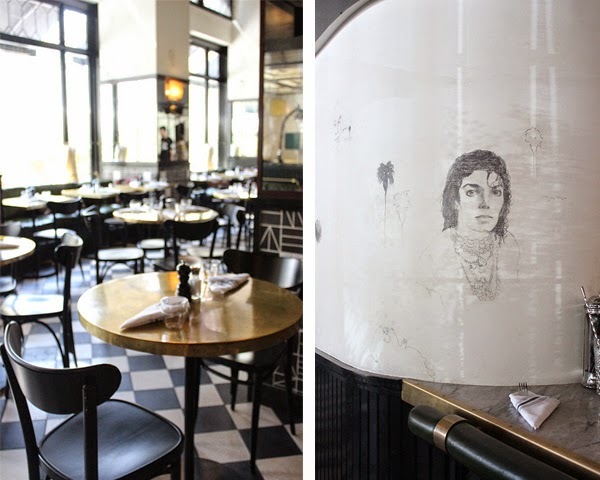 Or rather: eat at LA Chapter, the restaurant on the ground floor of the Ace Hotel. 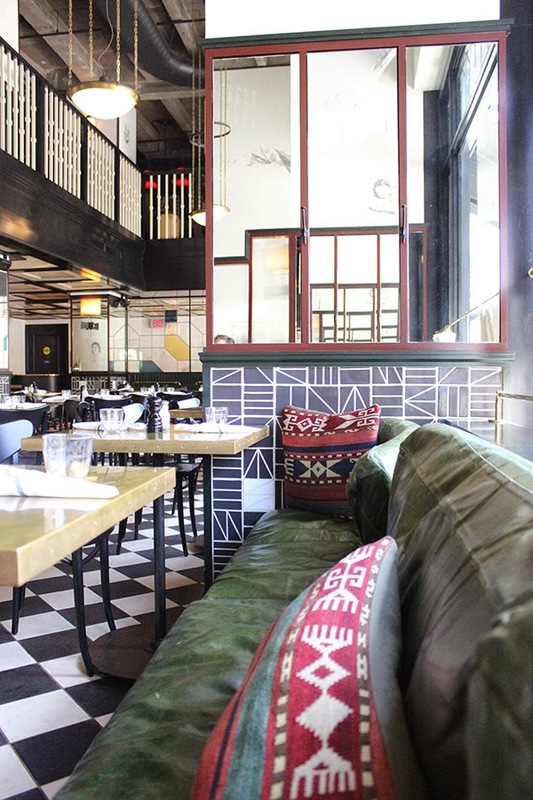 Okay, you'll first have to elbow your way through a crowd of hipsters, because every single Ace Hotel out there (London, Portland, Seattle, New York ...) is a surefire hit. And with good reason. The rooms are well-designed to the very last detail and the easygoing vibe really makes you feel at home. 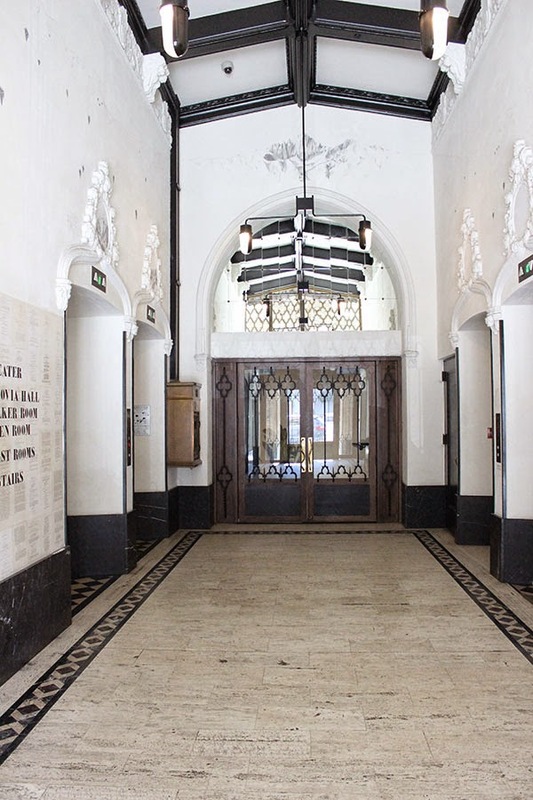 This particular Ace venue is located in the historic United Artists building in downtown Los Angeles. You're immediately lured in by its Spanish gothic-meets-minimalist feel. 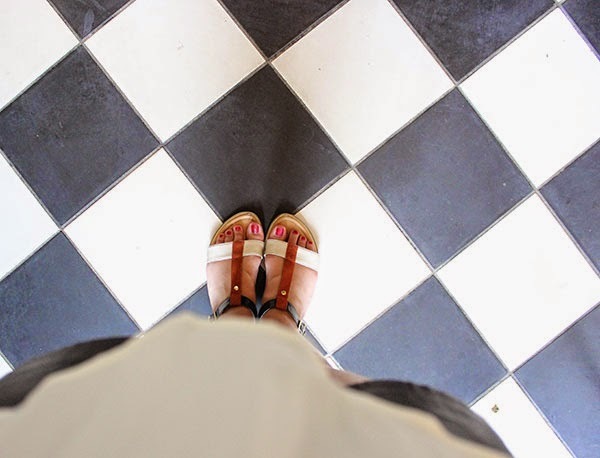 And once you enter the restaurant, there are these large black-and-white tiled floors and mirrored walls to gawk at. 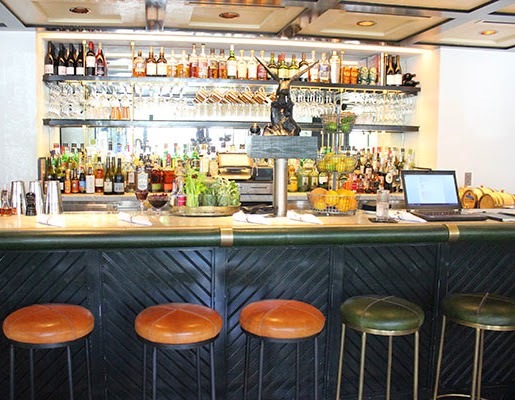 I also loved the green leather couches with aztec pillows and the brass bistro tables. Oh, and those pencil sketches of famous people! Do you recognize MJ :-)? I've been to events at other places, but this was my first time in here. Great place. Food at events in New York was good and seating was very comfortable. Also, very good view from where I sat. This is such a cool venue and the atmosphere was equally amazing.